We are delighted to announce that Capoeira Conviver will be performing at our annual Birthday Party, taking place on Friday 9th February 2018 at The Principal Manchester. Capoeira Conviver, based in Longsight in Manchester, teaches regular classes at their academy and holds community performances of the Brazillian dance-meets-martial-art: capoeira. The group aims to teach new skills, promote the connection of community members through getting fit, and improving their self-esteem. 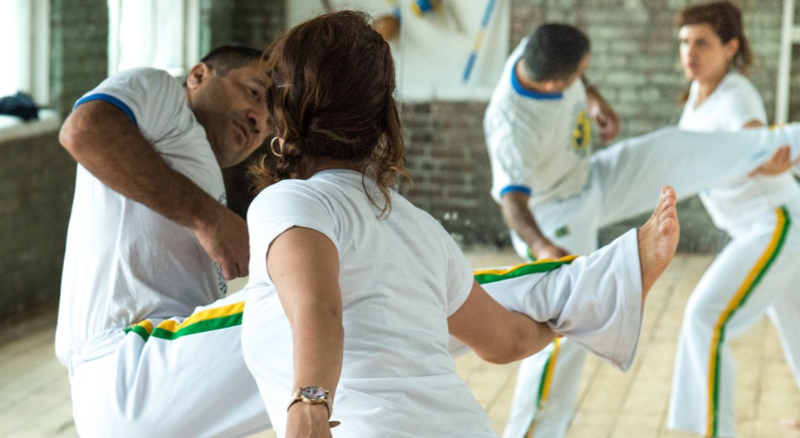 Capoeira Conviver includes the whole family, as individuals of all ages take part in getting fit, playing percussion, and learning Portuguese and all about Brazil. Tickets for the Birthday Party are priced at £85 per person with tables of 10 being £800 if booked before 1st November 2017 (£850 per table thereafter).